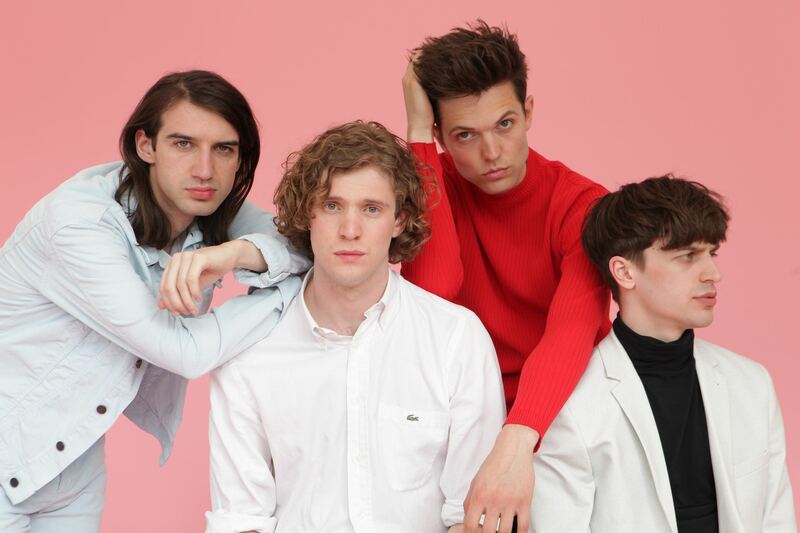 At the beginning of 2013, Spector decided to cut short further touring and promotion of their debut album Enjoy It While It Lasts in order to start focussing on music that they felt was a more up to date representation of their ideas. Founding members Chris Burman and Fred Macpherson had been making music in various forms since their early teens and had started Spector in order to communicate and share a series of “experiments in pop”. But one album and two years into their career, as far as Burman was concerned, it was mission accomplished. Having been to Japan, played Jools Holland, performed at Coachella, sold out Shepherd’s Bush Empire and toured the European festival circuit multiple times, he felt that they had achieved what they’d set out to do ­ interrupting the mainstream while having the experiences they’d always dreamed of as avid 13 year old NME subscribers. He left the band via a “very amicable Skype call” the day after Fred arrived in New York to start working on demos of ideas for their second album. This would be the start of an eighteen month musical journey towards ‘Moth Boys’ completion. Overseen by Fred’s old friend Dev Hynes, first in New York and then in London, the band started to develop a new sound, based mainly on their new circumstances. No studio drummer meant mostly programmed beats, and Jed and Dev’s playing styles brought about an end to the motorik rhythm guitar that had underpinned so much of their first record. The band went between studios and home recording sessions, writing and sharing music that they loved, away from the touring circuit and any question of how they’d perform their new material live. Inspired by The Blue Nile, Phoenix, Frank Ocean and the faded neon electronics of Jed’s regular DJ sets, the band ended up with over 20 finished tracks to choose from. “When we started out, I almost saw writing a song as a magic trick,” says Fred with typical candour. “It was just a question of doing whatever it took to further this adventure. But at some point on the journey we discovered the art of it and began taking pride in that. Other musicians put me off taking one’s own work seriously, but that’s something I think we’re slowly starting to do.” With a new found self­respect the band started to collate their final ideas locally in Hackney, at Unwound and Strongroom studios, but Dev Hynes’ plans to fly to London to complete production of the album were curtailed by a house fire. Rather than delay further, the band decided to move forward with engineers Duncan Mills and Adam Jaffrey, while also handling a lot of production personally at home. The song selection was bolstered by collaborations with Hynes (‘Decade of Decay’ and ‘Cocktail Party’) and “a day making a banger” with former Craig David mastermind and Adele writer Fraser T Smith. Lyrically the album’s preoccupied with apathy, doomed romance and the alienation of the information age “I don’t think these are love songs per sé,” explains Fred, “maybe the opposite.” Either way, the words are as refined as the music. From the lurid cityscape of ‘Believe’ to the strung­out epiphanies of ‘Kyoto Garden’, it plunges the listener into a druggy demi­monde, witnessed with almost uncomfortable honesty. The result isn’t just an album destined to change perceptions. In an age of one dimensional pop it’s also proof that the best groups always take time to earn their place, and find their voice.